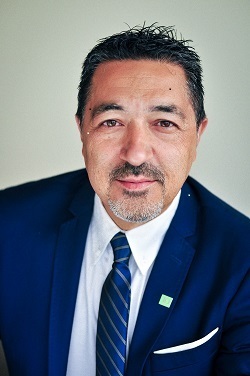 As a Banker with TD Canada Trust, I spent 32 years providing comprehensive financial management and solutions to individuals and families, professionals and business organizations. As a Wealth Advisor with TD Wealth Private Wealth Management, I have spent the past 3 years as a knowledgeable resource for a select group of affluent clients and their families. At TD Wealth, we understand that making decisions that affect people's lives is a deeply personal experience. We also appreciate the key role that growing and preserving someone's wealth plays in helping them enjoy the life they want to lead. That's why we take a unique approach to understanding the client, their family, their business and their values. Whether their focus is on building for the future, planning for retirement or leaving a meaningful legacy, my role is to meet with them to discuss how we can help them discover and achieve what truly matters to them. As a Wealth Advisor I will connect clients to a core team of TD specialists with experience ranging from investment advice, estate and trust planning, philanthropy, business succession and tax planning, and private banking, who will build wealth management solutions to help them realize their goals. As a team, we will always strive to consistently provide a seamless, interactive and highly professional client experience.